Here’s the Patch 9.2 tier list if you missed out or want to review it. 1. Can we make a video showing and explaining champion difficulties? 2. Why isn’t Shen A-tier? 3. What happened to Twitch in normal ELO? 4. Why didn’t Aurelion Sol come back to the Mid tier list after his 9.1 changes? 5. Why is Sivir S-tier? 6. Why is Kled S-tier when nobody wants to play him? And why does nobody want to play him? We do think a short video is necessary, to give an answer now, the difficulties we have refer to learning curve and mastery curve. A lot of people would consider mechanical difficulty which is perfectly fine but ours mostly focuses on how many ranked games you will need on average in order to not only be effective but ultimately win games. Let’s compare Intense champions like Kalista or Draven with a Simple champion like Miss Fortune. If you pick up MF and you play five games, you’ve more or less learned all that you sort of can to at least be effective. You might not need even five, it could take around three to build a level of comfort. In comparison, with Draven, you may need 50 or more games to feel comfortable and start winning at the same rate. Draven, however, will have more potential and a higher skill ceiling meaning that when played ideally, you could have a 90% win rate with Draven but be capped at 75% with Miss Fortune. With the Sunfire Cape buffs and the recent nerfs to overall damage in the game, Shen is pretty good at the moment. It might have been an oversight by us to not include him in B-tier. A-tier is a bit of a stretch because carry Top laners are good in general right now. 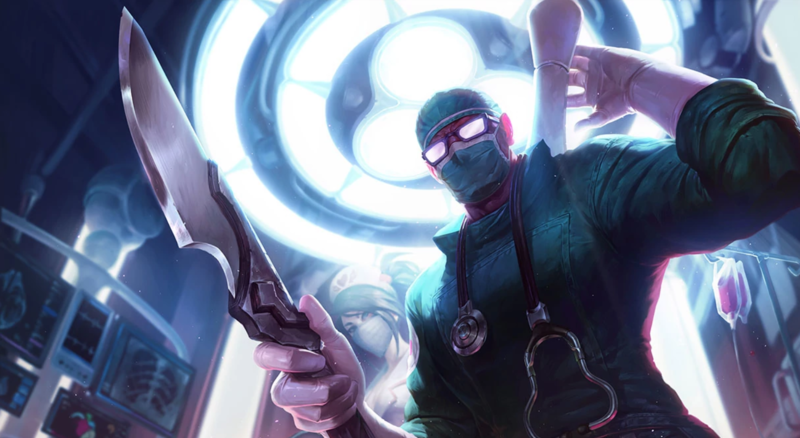 There are some popular bruisers out there that Shen can have success against, but the presence of mage mainstays like Lissandra and Viktor are making it tough. In High-ELO Shen may have additional value with his ultimate since there’s more coordination and perhaps could be A-tier. However, for now, we think B-tier is appropriate and we’ll include him next tier list. Just clearing the air on this one, we missed him on the graphic this time. Totally our fault, we apologize for misleading anyone. He should be on the list at A-tier. Aurelion was definitely a debated champion for us and one we’ll keep a close eye on throughout the next few patches. The buff itself was good for him but the meta changed with mids around him getting worse, many champions losing waveclear breakpoints at level 9, along with the jungle changes, so that if he roams and puts the enemy Jungler behind off of a Scuttle fight, he can really put his team ahead. His itemization also wasn’t hit as hard as other mages who abused Morellos. Due to all these reasons, he is likely around A-tier or at the very least, B-tier. That being said, don’t expect him to be the god-tier status that he used to be but let’s wait out the rest of this patch to see how things shake out for him by the time 9.3 comes around. In this meta, with games going slightly longer, Baron buff and inhibitor towers getting nerfed a little bit, Sivir’s wave clear is becoming more and more valuable. She’s not terrible with a one-item spike with Stormrazor and she’s able to scale to get her mana items more consistently since the meta has slowed down. She’s disgustingly good in teamfights as players start to pick more tanks with hard crowd control, she’s not getting bursted down by as many assassins like LeBlanc, Talon, Akali (who have been losing stock), she has time and safety with her spell shield, she can reliably kite enemies, and she has a pretty good laning phase with the buff to her Q recently. 6. “Why is Kled in S-tier when nobody wants to play him, and why does nobody want to play him? It’s true that Kled doesn’t have the biggest player base in the world, but he does have a very dedicated one. He’s a bit weird due to his Skarl mechanic, the way you have to get his passive back, how you don’t use his W on the minion wave, and engage when his Vicious Strikes are up. Overall, he’s a champ where if you’re able to use his kit to its full potential, it’s extremely good. Despite his low play rate, he’s had a consistently strong performance for two seasons now (7 and 8), and we see no reason why he wouldn’t be in Season 9. He’s a solid carry bruiser that can also build tank and what makes him so good is having great engage and CC in solo queue, similar to Sivir’s ultimate and its impact and agency in solo queue. He’s hard to kill with things like Bone Plating and Second Wind, and he’s able to deal tons of damage with choices like Conqueror or Press the Attack.